Hello PinkWhen readers! I am Bethany, and I blog at Whistle and Ivy. I am loving the boho chic trend. For those you don’t know, I am big on the needle arts. Seeing crochet, knit and weaving highlighted in home decor is fabulous! 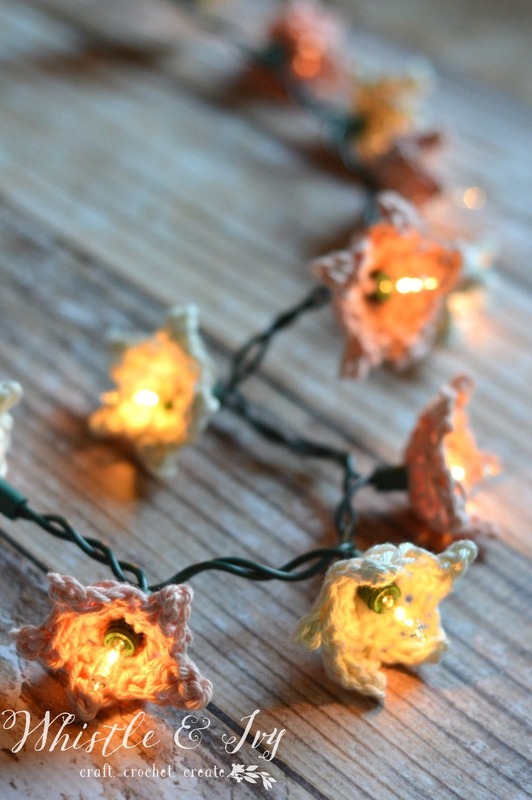 This crochet star flower lights are boho without being over-the-top, and would go with a variety of decor styles. If you are a novice crocheter, you can definitely make these flowers! I have a picture tutorial HERE, so you can get a visual as you are making them. Start by making your stars. My small strand had 20 lights on it; make enough stars for each light to have one. If you can, make your first chain a bit loose so you can push the light through the hole when the star is finished. Once your stars are finished, push the lights through the hole in the middle of the stars. Place it so the right-sides of your stitches are facing down, then when the flower curves up, the right-sides will be on the outside. Make sure you push it down far enough that the flowers are touching the green part of the light and not the glass bulb. Place a dab of hot glue to secure the flowers in place. Repeat until all the lights have a flower. 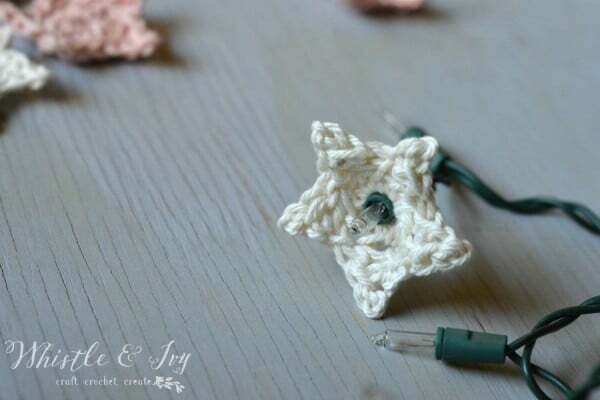 I love my crochet star flower lights! 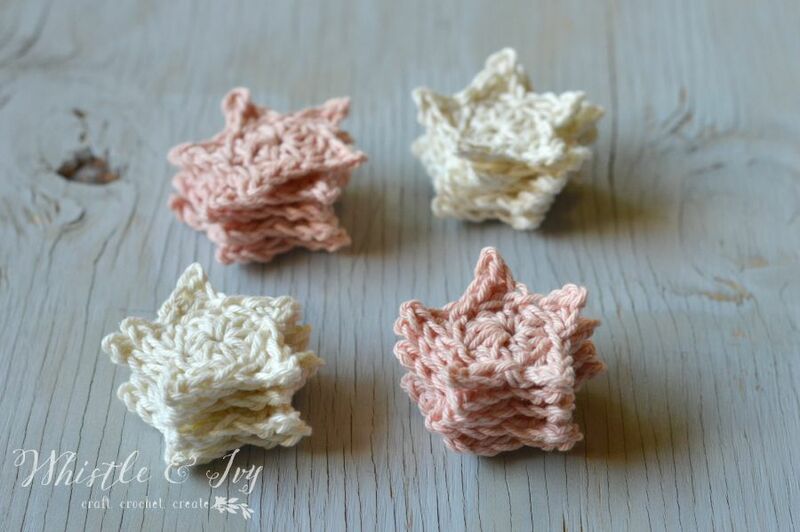 They are very simple and easy to make, but have a lovely, bright effect. 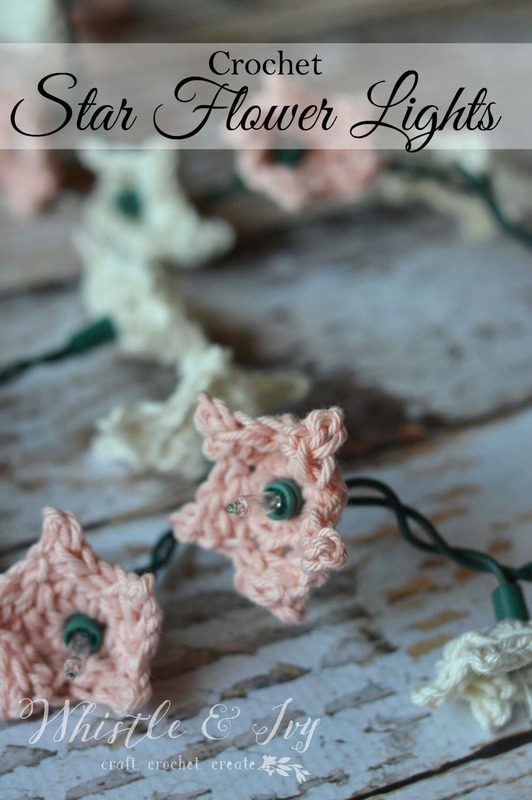 These lights definitely match my rustic home, and I am already thinking of color combinations for a string to put in Little Miss’s room. Her room has knotty pine walls, so I know a string of these will look fabulous in there. Want more? Subscribe to Whistle and Ivy and follow on Instagram. Seriously, so cute and simple! I’ll have to try something like this for my nursery. Baby girl #2 arrives in December! These are so cute! I really need to get better at crocheting.